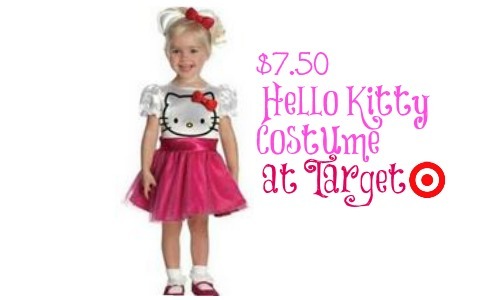 In case you missed it, Target has all costumes B1G1 this week, plus there is 50% off the Hello Kitty girl or toddler Cartwheel coupon available through 10/11. You can buy (1) Hello Kitty costume for $30 and (1) other costume of your choice $30 or under, just make sure it rings up second. Get $15 off with cartwheel making it $15 for (2) costumes or $7.50 each. This is a huge savings so don’t miss this fun deal to stock up on costumes. makes it $15 or $7.50 per costume!